Snow Day! 2 Excited Girls Because We’ve Not Had Snow For Years! Ella’s school decided before she left this morning that they were closing due to the snow. She was ecstatic to be having a snow day! Aiden found out his college was closed just before he got on the bus so he was happy to be able to come home. Kaycee’s school decided to stay open. She waited in the cold, snowy weather for the bus which was late. The traffic was terrible and she was already late. She ended up getting off before they got to school and walking the rest of the way. Her school then decided to close at 12 anyway so it had all been a bit of a faff for nothing. Ella has spent the whole day with her friends. They played in the snow and went to each other’s houses when they got too cold! The snow continued most of the day. It’s the most snow we’ve seen in years. They were so excited to finally be able to use the sledges I bought them for Christmas about 5 years ago! 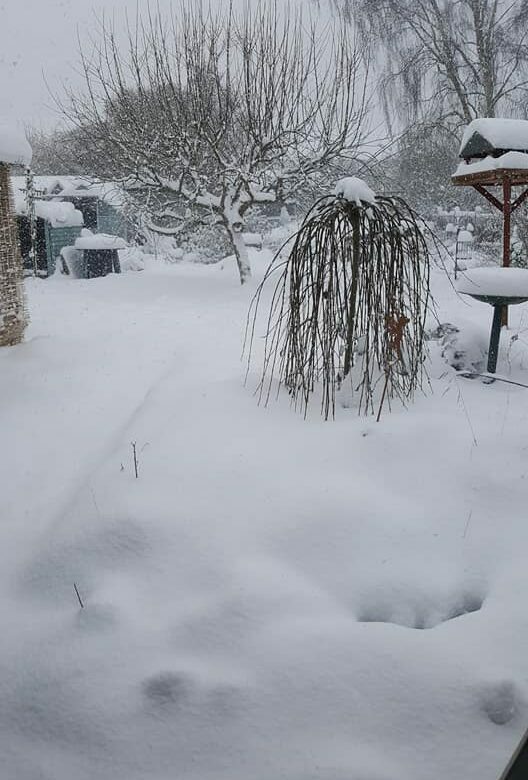 This cold snowy weather we have at the moment is thanks to what is now known as The Beast From The East. Step outside if you dare. The Beast from the East is unleashing a snow bomb super cyclone polar vortex monster storm. Or “winter” as it used to be called. I remember a particularly bad winter when we were without power for about a week. We ran out of candles and struggled to buy more because the shops also ran out! We toasted bread on a long fork on the coal fire and played board games at night to keep us occupied. At the time it was exciting for the first day or so but then it got boring and we just wanted the TV back! It wasn’t given a fancy nickname as I recall, it was just a bad winter! As a parent, understanding your child is one of the most important things you can do. Knowing your child and his unique personality helps guide you as you raise your child. This is vital from birth right through to adulthood. The Top Doctors website has lots of information about childhood including useful help about mental health and here are some of the basics to start with. Observing your child during their daily activities, including playing, sleeping and eating, allows you to learn their traits and helps you identify any problems. Take note of what your child likes to do and eat, and which activities they like best. Knowing these characteristics makes it simple to see if there are changes that could mean there is a mental health issue. Take plenty of time to talk to your child. Let them know that they are in a safe place and make sure you listen and respond without judgment. Watch your child’s body language, which gives you great clues to their feelings and state of mind. It is recommended to ask lots of questions to encourage your child to open up to you. Your child’s self-esteem has a major impact on their success in life. Developing a healthy self-esteem is the key to ensuring that they have the best chance at a happy and fulfilled life when they grow up. A positive relationship between a parent and child is the best way to build self-esteem and teach children about a healthy respect for one another. Children love to be with their parents so making time to spend with each other playing and going on outings is very important. It’s also good to give kids time to spend with others their age, as well as close family members and friends of all ages and genders. Some children have difficulty with social skills, something that could indicate a mental health condition. These kids may seek out social interactions, but if they are rebuffed, made fun of or otherwise excluded, they will withdraw to a place they feel safe. Your home should be a safe place. Parents should always provide a warm and loving environment so that a child has a sanctuary when things go badly in their world. There’s nothing worse for a child’s development than feeling rejected by a parent. Parents need to be aware of issues with their child’s social development. There are many excellent doctors and therapy programs that can help children overcome social problems and build a healthy self-esteem. If academic or emotional problems arise, parents should know that these are red flags that need to be addressed, both at home and with a professional. Raising kids isn’t easy, but parents have an important job to do, which requires knowing and understanding their child so that they are able to detect changes or problems that could indicate mental health issues. There is a lot of help out there for families and parents who take advantage of those resources prove to their child that they love and care for them and are going to do what’s best for them. We watched Tennison when it was on TV last year and we really enjoyed it. I’ve not read any Lynda La Plante books before but I’ll be reading more now. From the creator of the award-winning ITV series Prime Suspect, starring Helen Mirren, comes the fascinating back story of the iconic DCI Jane Tennison. While reading the book I felt that the TV series had followed it quite closely. It was about a year ago when I watched the TV show so I may not be remembering it correctly. The reason I say that is because Lynda La Plante has said in a Facebook post that she felt ITV were changing the story and characters too much so a second series is not on the cards. It’s sad because I would have loved another series. There are more books featuring the young Tennison, though, so I’ll have to be content with those! I’m going to be on the lookout for Hidden Killers, the second book in the Tennison series. Good Friday is the 3rd and a fourth book is in the works. We all love the board game, Beat the Parents. Ant and I have only won once out of all the times we’ve played. KayCee and Ella love this fact! Beat the Parents brings kids together with their parents to go head-to-head in a fun-filled family trivia game. Prove who’s the boss in the game where the adults answer questions about kids’ stuff, and the kids answer questions their parents should really know. The first team to get both movers across the board to the other side’s start spaces wins the game! For 2 or more players, ages 6 and up. I have to say we came really close to winning this time! We each needed to get just one question right to win and we got our question wrong! We’re all caught up with Grey’s Anatomy on NowTV and are having to wait for the new episode every Wednesday. It’s the same with Criminal Minds and we only have a couple of episodes of Madam Secretary to catch up on so we had to find something new to watch. When we had the full package with Virgin we watched the first 2 seasons of Scandal. We hadn’t known it was available and didn’t get to see any other season before it was taken off. We both really enjoyed it so we were pleased to see the box sets available on NowTV. Our number one choice on Netflix at the moment has to be Friends. I wrote about how I had the box set for Christmas then all 10 seasons became available on Netflix! We’re on season 4 four now and usually manage to watch a couple of episodes each night. I watched the first episode of The OA the other day. It’s totally my kind of show and I’m looking forward to the next episode. I watched season 1 of Stranger Things last year without Ant for some reason. I can’t remember much about it so I’m planning on watching season 1 again before starting season 2. This time I’ll see if Ant wants to watch it with me. I haven’t started watching Dark yet but I will be doing very soon. It’s been likened to Stranger Things so I’m probably going to like it just as much. If you’re a fan of crime documentaries, A Suffolk Dad has shared his top 5 picks. I’ve added Evil Genius to my list; I can’t wait to start watching it. Redecorating the living room – finally! I started planning on decorating the living room in January when Christmas was over. Once the decorations come down I start feeling like I want to change things in the house. The living room is first on the list, closely followed by the bathroom. We painted all the rooms magnolia when we moved in just to make it easier and faster. We planned on decorating properly within a couple of years but that didn’t happen. I vowed that this would be the year and since we bought a new (to us) 3 piece suite from the charity shop I figured it was a good reason to decorate. Our old sofa suite was cream leather and looked really lovely. It was great because we could use any colour but the downside was the temperature. It was always cold when I first sat down in the morning. I’m a person who is cold 99% of the time. Having to sit on a cold chair when I had just woken up wasn’t good for me! In Summer I had the other problem of sticking to the chair if I wore strappy tops because the leather would make me sweat. When I saw our lovely cream and light green 3 piece suite at the charity shop I had to have it. We’d been looking for a 3 piece suite that had a 2 seater sofa instead of a 3 seater. We wanted to swap the room around so Ant and I could share the sofa instead of sitting next to each other on chairs and this set was perfect. The problem we then had was the red theme of the room. You’ve all heard the saying, red and green should never be seen except upon a fool, I take it? I couldn’t ignore the red and green colours any longer! We got some great bargains on the wallpaper, curtains and throws. The wallpaper was marked at half price on the shelf. When we got it to the checkout it had been marked down to half price again so we got it for £2.50 a roll instead of £10 a roll. The curtains were also on sale so instead of paying £29.99 for the large pair and £14.99 for the small pair, we got both pairs £14.49. I was very happy with my bargains! Nanny has some lovely crystal chandeliers in her hall which inspired me to look for some for our living room. We have two ceiling lights in the room. The one over the dining table is a ceiling fan light which is great in Summer. After looking at lots of different styles I decided a chandelier and a ceiling fan just wasn’t going to look right. We ordered a similar ceiling fan and Ant fitted it the next day. I still wanted some lights and crystals in the living room so when I saw some twig lights with hanging crystal decorations I snapped them up! They’re really pretty and look lovely on the fireplace hearth. I needed some vases to put them but couldn’t find any I liked until I saw some glass jars in Asda. I filled them with green glass stones to hold the twig lights. I’m really pleased with them and can’t wait to finish the decorating so I can start using them! We don’t have a door into the hall as we took it off to make more room in the living room. This means the living room kinds of flows into the hall. Last year when we were making the raised bed in the garden I fell in love with succulent plants. While shopping for new candles for the fireplace I noticed the trend this year seems to be fake succulents. I was tempted to buy some for the fireplace hearth but decided real plants would be a much better option so I bought 3. How To Reduce Food Wastage With the Right Packaging? A United Nations estimate suggests that almost one-third of the food produced in the world doesn’t get consumed. That’s a shocking reality of the modern world. Whereas feeding the rapidly growing world is a challenge, it’s also a sad fact that the packaging world has not yet been able to step in with a solution. EPA estimates that every year, food constitutes 15% of landfill waste. Research by the Technical University of Denmark shows that in terms of environmental impact related to food production and distribution, food production has 70% environmental impact, and post-producing storage and distribution has almost 30% impact. However, only 1% of the total impact is represented by packaging. However, because of the ability of food packaging to extend the shelf life of food, and to ensure safe transit and storage, the focus needs to shift on this often-ignored aspect of the global food wastage problem. 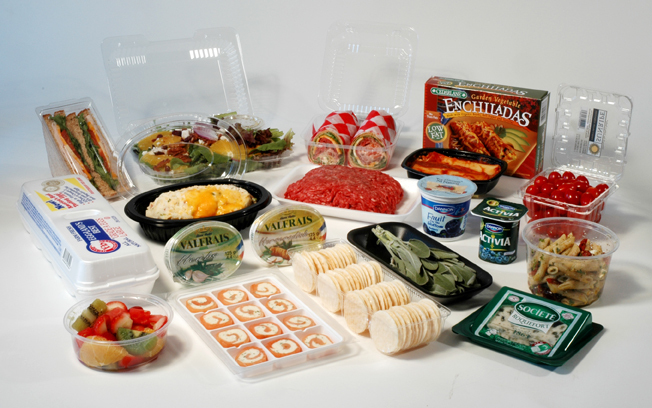 If your business has anything to do with food packaging, now is the time to get smart. This guide will help, read on. The average portion size of food consumed by an individual varies across geographies, product categories, and markets. Food product manufacturers and packaging solution providers can significantly reduce food wastage by rethinking their product packaging in the context of portion sizes. It makes sense to divide the product into small portions and include multiple portions in a bigger packaging. This gives customers exactly what they need for a meal, and they can take multiple helpings if needed. Such functional packaging also helps brands reposition their slow-moving products. This also helps you target your product at markets such as small households and solo consumers. Tip: Seek the services of an experienced customized packaging solution provider. That’s because you don’t want to use excessive packaging material to make your ‘several small portions in a larger pack’ SKU. Check out #AvocadoGate; apparent overuse of packaging to improve the shelf life of pre-peeled avocados caused social media outrage! Manufactures don’t always have to make sweeping changes in food packaging designs to make an impact. For instance, most food packages are required to clearly show information such as use by date, best before date, suggested portion size, etc. However, most food packages show this information via miniature printed labels at the back of the packaging (or at even more inaccessible locations such as under the bottle, at the inside of the packet seam, etc. Not being able to find the expiry dates, best before dates, and use by dates on their food packages causes most consumers to simply throw away leftover products. Instead, food packaging can be made a lot better. The information about safe usage needs to come to the front, be a lot more prominent, and be presented in bold print. This will help consumers ‘remember’ to plan their food consumption so as to not end up throwing the unconsumed food away thinking it would have gone bad. Much like everything else, technology is changing the face of packaging in several ways. Thankfully there’s a lot of innovation happening around the idea of high tech packaging solutions that can prevent food spoilage. Odor scavenger technology in packing used for poultry and dairy products to reduce product returns caused by malodorous products. Active Barrier packaging that uses oxygen scavengers integrated into the packaging, helping restaurants and all kinds of food businesses prevent food wastage because of microorganism growth. Sensor-enabled packaging that can communicate changes in temperature, humidity, and pH, and help logistics partners as well as storage partners to take timely actions for preventing damage. Though the costs of these packaging technologies remain prohibitive for food products manufacturers, it is likely that they’ll be much more accessible and affordable in a few years. Consumers can use the entire packet mouth space to access the food product inside. This helps them draw out precisely the amount they need, which in turn minimize per-use wastage. In many cases, consumers use a single utensil such as a spoon to draw out food from different containers. This often causes cross-contamination in foods, resulting in early spoilage. However, an easy extraction mechanism solves this problem. That’s because consumers can simply extract the required portion size without using a spoiled spoon for the same. Apart from these benefits, resealable packaging promotes the idea of food consumption directly from the packet instead of transferring it to containers and storage boxes (thus preventing wastage in transfer from one box to another). 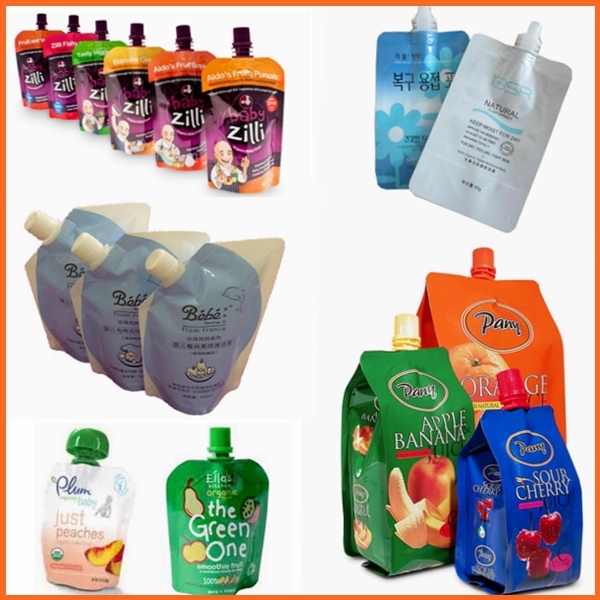 With all these potential benefits, and each of them promising a concrete improvement in the user experience, and reducing food wastage in the process, food brands have every reason to engage a packaging solution provider with expertise in developing and manufacturing packaging for all kinds of food items. Consumers think highly of brands that help them fight the problem of food waste. Not only does food waste aggravate global problems, but also kicks your bottom line and reputation in the backside. Act when there’s time, and you can position your brand as an environmentally friendly brand before market conditions and regulations make it mandatory for all food product manufacturers to actively invest in better packaging. Lighting is very important in interior design yet it is often the last thing people think about when decorating a room. Wallpaper and paint is a big decision and many hours can be spent visiting shops or surfing the internet. Even picking curtains and cushions usually takes on more importance than finding the right kind of lighting for your room. It’s very important to plan your lighting along with all your other decorating plans. The natural light of the room can help to determine what kind of artificial light you’re going to need but there are other factors to take into account as well. There are many different types of artificial light and you may need help with your design from an expert. Accent lighting – the aim of this type of lighting is to highlight a prominent feature in the room, such as a piece of art or architectural detail. Natural lighting – the quality of natural light that comes into the room is based on different factors such as the amount, time of day and time of year. Aesthetic Lighting – using light as part of an object is very popular, even likened to being a piece of art itself. Placing a light at the base of a houseplant, for example, so the light goes up through the leaves can be very effective. Task lighting – helps you have adequate light to complete your tasks such as having a reading lamp next to your armchair or strip lighting under kitchen cupboards light up the counter when cooking. General lighting – just as it says, this is the lighting that brightens up the whole room to enable you to move around safely and easily. Ceiling fixtures are the most common type of general lighting. Ambient lighting – wall sconces are the most usual choice when it comes to ambient lighting. Fitting a dimmer switch will control how much light the wall sconces will give and help to control the feel of the room, depending on your mood. There are plenty of off the shelf lighting fixtures to choose from but what if you want something a little bit special? Something unique, that’s been designed just for you. That’s when you need Bespoke Lighting to light up your interior. Bespoke lighting is designed by a professional to your or your interior designer’s specifications. You may find you have no choice when it comes to having bespoke lighting due to an oddly shaped space or you may just want something no one else will have. If you’re keen on upcycling you can have your light fixtures made using reclaimed materials such as wood or metal. You can have floor lamps, table lamps, chandeliers and quirky ceiling fixtures designed especially for you. Whatever your reason for choosing bespoke lighting, it can be very exciting to see your newly designed pieces being installed. If you’re not a fan of ankle boots, firstly, why not? And secondly, why not?! There are many reasons to love ankle boots including versatility, a host of different styles, comfort and protection from the elements. Ankle boots, of differing styles, should be a staple of any fashion conscious person’s wardrobe. Unlike other types footwear, they’re popular with both men and women alike. 1 – Casual Or Formal, Just About Anything Goes! Ankle boots are arguably the most versatile and widely worn type of boot there is. They have so many styles that just about any outfit you own can be paired with ankle boots. You won’t look out of place at the office with a pair of sock boots that have been paired with a simple shift dress and tailored blazer. When you’re done with your working day, ditch the jacket, add some sparkly jewellery and meet the girls at the bar. Team your summer kimono with a strappy vest, skinny jeans and a pair of ankle boots. It’s a perfect outfit for grabbing a coffee while out shopping for your next pair of boots! If you’re a fan of jeans, you can create lots of different looks by changing the way you wear them. You can tuck a pair of skinny jeans into your boots or roll them up just enough for your ankles to peep out. There are so many styles of Ankle Boots for Women that the possibilities for different outfits are endless. In the 19th and 20th-century ankle boots were a common footwear for women. While their popularity declined in favour of calf and knee length boots from the 1920s through to the 60s and 70s, they made a comeback in the 80s and have stayed with us ever since. In the early 90s, a chunky Aran jumper worn with jeans, ankle boots and layered wool socks was a popular look for teens. Even today a sweater, jeans, ankle boots and a patterned scarf is a popular autumnal outfit. From around 2010 ankle boots were even being worn in the summer instead of sandals. You can create great outfits with above-the-knee skirts or dresses and a pair of heeled or flat boots. They even look great with a pair of denim shorts and a strappy top. One of the best things about them never going out of style is the fact that you can never have too many. This means more reasons to go shoe shopping! 3 – You Won’t Get Wet Feet! Well, you won’t get wet feet as long as you’re not wearing a pair of open-toed ankle boots! A pair of chunky flat leather boots is perfect for a rainy walk in the woods with someone special. When you get home, the rest of you will be wet but your feet will be nice and toasty! No matter what your style, you can’t go wrong with a pair of ankle boots. Medical negligence is more complex than other legal areas, and it is burdened by many myths and misconceptions. This is only compounded by the pain, suffering and literal confusion many victims deal with. Here are nine commonly asked questions about medical malpractice cases. We’ll answer these common questions about medical negligence, and we’ll tell you when you need to seek expert legal advice. Do I Have to Pay a Lot to File a Medical Negligence Case? What If I Can’t Pay? Yes, medical negligence lawyers need to be paid. Yes, you may pay them for their time and effort up front. However, this is not the only funding model available. For example, your trade union may pay the legal fees for your medical negligence case to pay for your medical bills and recovery. If dealing with a child who is suffering from a disability due to medical negligence, charities and legal aid may pay the legal fees so that you can receive the money you’re due for the child’s care. Most medical negligence claims in the UK are paid on a no-win-no-fee basis; medical negligence solicitors are paid a portion of your settlement if you win, while you pay nothing if the case is lost. Will I Be Facing a Long Court Case? In general, the answer is no. Fewer than two in a hundred cases go to court if you’re suing the NHS. If you’re suing a private facility or caregiver, you’re still unlikely to go to court, since it is cheaper and easier for both sides to settle. In the rare cases where it does go to court, you’ll have a medical negligence expert by your side handling everything from paperwork to dispositions. If you file a medical negligence case, it is more likely you’ll be sent for further assessments of your condition than be asked to testify in court. What Are My Options If I Cannot Get to the Solicitor’s Office? You shouldn’t let difficulty travelling prevent you from consulting with a legal professional. Your claim can and should include the newly increased costs for travelling because you cannot drive on your own or the need to modify your vehicle to accommodate a wheelchair. And the best medical negligence solicitors will either arrange to visit you at your home or arrange for appropriate transportation to bring you to their office and all necessary assessments. Should I Wait to File My Medical Negligence Case? No, you should not wait to file a medical negligence case. For the average victim, you only have three years to file your case. If you wait for things to get better or hope that the issue will be resolved through a series of complaints, you could lose your opportunity to file a case. Conversely, if you sue for compensation now, you’ll receive compensation much sooner. Money to pay your medical bills, offset lost wages and renovate your home to accommodate you makes life so much easier. What if it has been more than three years? Medical negligence UK law is limited to three years except in a few cases. Before you assume you cannot sue, you should contact a firm like the Medical Negligence Experts to ensure that it’s not too late to claim. These medical negligence solicitors have a convenient contact line which means you should be able to contact an expert quickly. And know that you can file a medical negligence case even if you’re going through the NHS complaint process. Will Filing A Medical Negligence Case Hurt My Quality of Care? Some people are afraid to sue their medical practitioner or facility because they are concerned it will impact their quality of care. For example, they don’t want to sue the hospital that made an error during their last surgery in case it will lead to a denial of care or decreased quality of care if they go back. Neither hospitals nor individual practitioners are allowed to refuse to treat you because you have brought a claim against them. However, if you are seeking care at the facility, you have the right to request care by a different healthcare provider. You can also ask for a referral to a different healthcare provider. Who Do I File the Claim Against? It is possible to file a medical negligence claim against doctors, medical specialists, labs, midwives, medical administrators, and caregivers. You can sue a private healthcare facility and the NHS. You can sue physical therapists for failing to deliver the quality of care that was expected or making mistakes. You can sue counsellors, therapists, opticians and ambulance services. You can sue the facility even when you don’t know who specifically made the mistake, such as when a surgical item was left inside a patient or several shifts failed to deliver the medication a patient required. You can even sue several different facilities if more than one is at fault. A medical negligence solicitor can help determine the degree to which each party is liable and seek settlements with each. The short answer is that it depends on several factors. This depends on the nature of the injury, with more severe injuries meriting greater compensation. The payout would be higher if it is permanent or a slow, costly recover relative to something you’ve already recovered from. The claim amount should be higher if you have greater losses associated with the injury, whether it is lost wages for a lifetime or extensive out of pocket expenses modifying your home and buying support equipment. You can seek compensation for pain and suffering, and the value is dependent on what you suffered. Can I File a Claim on Another’s Behalf? You can file a medical negligence case as a partner of the deceased, of your children or a still living, disabled spouse. Note that a child may be able to file medical negligence claims on their own, if mentally competent, once they reach adulthood, but parents can act now on their behalf. Minor children cannot file a claim, though their parents or guardians could file a medical negligence case on their behalf if it involves the loss of their parent. Such children could file medical negligence cases and seek compensation for the loss of a parent once they reach majority. What Do I Do If They Give Me an Apology? An explanation of what happened and an apology may be their way of resolving a complaint or trying to avoid a lawsuit. However, this does not take away your right to sue for compensation if you’ve been a victim of medical negligence. Note that if all you want is a token payment, apology and change of procedures, many medical negligence solicitors are willing to assist you in these cases, too. Don’t let fears of legal bills, the cost of transportation or anxiety about potential courtroom drama deter you from seeking legal advice. Make sure that you have a solid case on your hand and that you haven’t reached the time limit to file. A solicitor can help you determine what your case is worth and who should be sued.